Thousands of universities around the world use WordPress, including many prestigious American universities such as Harvard, MIT and Stanford. Why? Because WordPress is cost-effective, flexible, scalable. The open-source WordPress community continues to innovate in areas that can remake how higher education institutes are growing in online education. WordPress is currently used in myriad different ways in higher education institutions, from simple blogging to content management and everything in between. If you are looking to take your educational goals to the next level in an economical and efficient way, WordPress provides an adaptable and scalable environment that can meet and exceed both student and faculty needs. Institutions face their own digital challenges and handle their online presences differently. We wanted to understand how top institutions are using WordPress and what advice they have for others. So we reached out to 12 schools to find out what benefits they have gained in using the CMS and what advice they have for other institutions that are thinking about using it. WordPress powers 30% of all websites and has 60.1% of content management system market share. In fact, WordPress has more users than all of the other content management systems combined. This popularity has many benefits of schools, in particular, that it’s a familiar piece of software for many students and faculty staff. Since WordPress has been around for 13 years, it’s common that students and staff have already used it — or currently use it — for their own personal WordPress-powered blogs and websites. This familiarity ensures schools usually only have to provide minimal training in how to use it. WordPress powers more than 12,000 websites as part of the University of North Carolina Chapel Hill’s Web.unc.edu service. Built on WordPress Multisite, the service empowers faculty staff and students to easily create and manage their own websites. “What we love is that it’s so easy to use,” says Kate Hash, the schools manager of ITS communications and digital services. When it comes to advice for other schools that are thinking about implementing WordPress, Kate says it’s important to think about site architecture. WordPress is a relatively inexpensive platform for higher education institutions. While the core software is free to download, the only costs required to set up and use it are associated with hardware, bandwidth, network resources and maintenance — costs you would also be expected to pay when using any other platform. There are also costs associated with using plugins and themes (which can also be free), design, as well web development if you want to customize WordPress to integrate with your current digital architecture and branding. While these costs could be thousands of dollars a year, it’s minimal compared to what you would pay to use any of the large proprietary systems available on the market. In addition, for institutions that don’t want to be locked into using expensive software provided and serviced by one vendor, the lack of any licensing fees — and the foundation of transparency and community that WordPress has been built on — is a win. At Penn State University, WordPress has empowered the school’s many creative voices. Anyone can build a site and WordPress is frequently used by clubs and research groups. According to Jennifer Sparrow, the senior director of teaching and learning with technology at Penn State, WordPress helped speed up different types of curriculum innovations for class activities. “Each student has a research around a particular theme and each have a blog. The blogs are an integral part of what they’re doing and are all pulled together into a “mother blog,” so other students can see,” Jennifer says. Penn State’s advice for institutions considering using WordPress is to outsource local hosting in order to free up institutional resources. Doing this has allowed the school to wholly focus on the institution’s mission. WordPress is licensed under the GPL. This means that anyone can modify and enhance the core code, and any contributions are comprehensively peer-reviewed by an international and dedicated community of developers. For IT teams at institutions, this means that WordPress is written and documented well, so it’s simple to customize the software to suit your institution’s need. Louisiana State University uses WordPress for faculty use as well as research sites. Why did they choose WordPress? Because it complements the current technological environment the rest of the campus is working with. Likewise, Boston University’s Ron Yeany, assistant director of the web and mobile group, says the institution’s staff had enjoyed the robustness of the open source community, WordPress meetups, WordCamps and other events. “WordPress has provided us with consistent branding, consistent tone, consistent location of navigation menus and a consistent approach to information architecture on a number of sites,” Ron says. Ron’s advice for other schools is to “take WordPress slow” and don’t install a lot of things as poorly developed themes and plugins can be a security concern. With every new release of WordPress, the core design and development team improves the software’s user experience, making it easier to manage and publish websites. The University of Washington’s Marketing & Communications Web Team provides free WordPress hosting to dozens of campus organizations, including departments, faculties and student clubs and groups. Gina Hills, from the web team, says the university had found WordPress to be fairly intuitive for most users but, like any technology, some folks are more comfortable with it than others. “With that in mind, it’s helpful to provide documentation and hands-on training from time to time,” Gina says. Christian Santillo, associate director for college web communications from College of the Holy Cross says it’s important that institutions use the technology that young people are using. “Put yourself in the shoes of 16 and 17-year-olds you’re trying to recruit, or the current students, and live through that lens. Immerse yourself in new tech and get familiar with the apps and vernacular they are using,” says Christian. WordPress is incredibly flexible and extensible. It can be customized to do just about anything you dream up for your institution and is currently being used by institutions in all kinds of inventive and impressive ways. Thanks to WordPress’ robust themes and plugins, faculty staff can modify their websites without ever touching the core code. This flexibility is part of what allows WordPress to be used in so many different situations. It can be used to create blogs, microsites, student portals, portfolios, employee directories, campus maps and virtual tours, learning management systems, presentations and lectures, open courses, social networks and fully-featured websites. Many universities, like the University of North Carolina Chapel Hill, have used WordPress Multisite to create a network to allow faculty and students to publish their own websites on university servers. Michigan State University has used WordPress to understand, rethink and improve the student learning experience. The school uses WordPress to augment classes and design courses outside the learning management system, as it has done with its urban agriculture course. According to Jerry Rhead, the director for academic entrepreneurship at Michigan State’s Hub for Innovation and Learning, WordPress provided a solution for handling the characterization of resources, pedagogy, and global experts, allowing the school to showcase examples of faculties using websites and incorporate different types of media. This has also allowed the institution to organize content in a meaningful way for archival, promotion, and exposure. “WordPress has flexibility and an array of tools that are available to you from free to paid. If you need to move nimbly, quickly or functionally, then WordPress has been a solution that has allowed us to do that many times,” says Jerry. “It’s a Swiss army knife of web development and authoring. WordPress can do almost anything from the most basic websites to as sophisticated as you can get by using the plugins and extendability types it offers,” Jason says. Colby uses WordPress extensively. The technology is connecting the new tech generation of students with other generations at the school. Students work in classes where learning to use and navigate WordPress websites is not a big learning leap for them because WordPress is so prevalent outside of school. At Colby, they have run into situations where they will be working with students who have already used WordPress for three or four other classes. This has allowed the school to better connect with students, and for students to have a more expressive power with the web. Using a solid hosting stack (such as what Pagely already provides a number of higher education institutions), sound database configuration and a sensible use of plugins and customizations, there’s no limit to how you use WordPress. WordPress is also easy for IT teams to set up and maintain, allowing university IT departments to quickly create and launch new websites. Duke University’s Sites@Duke service enables any student, faculty or staff member to create a website. The service hosts hundreds of websites, from class sites to online portfolios, blogs, projects and more. Jolie Tingen, learning technology analyst from the university said it was important to recognize what students and staff needed and tailor a service to match since there were already lots of website services available online. “If you provide it as a service at your institution what will be different than that open service and how will you balance the needs of your users within the parameters that you can actually provide a service?” Jolie says. Etienne Pelaprat, director of product management at Unizin says institutions need to be ready for scale. “Content experimentation and development inside of institutions is growing like wildfire. People are looking for alternatives and need to architect for scale from the beginning,” Etienne says. Brian Tibbens, director of information technology from Syracuse University’s Newhouse School says it’s important that schools that use WordPress are able to deploy common tools that use preexisting code. This allows organizations to quickly spin up working environments that have a common feel, while still retaining their unique identities. “This also enhances exposure with minimal overhead. Furthermore, when you are rolling out site changes and updates within the environment, having these common tools and preexisting code allow for a growing and evolving space while still keeping a unique identity,” Brian says. In addition to its flexibility and familiarity for students and faculty staff, WordPress offers easy to use features that allow IT departments to manage user roles across networks and websites. With WordPress, you can create users with full administrative privileges and the ability to create new sites, manage other users, and perform systems updates. Likewise, you can create users who only have permission to view content, or any combinations of capabilities in between. At Boise State University, the ownership of its websites has been moved from the IT department to the central marketing and communications department. Shad Jessen, Director of Communications for the Office of Information Technology at Boise, says the school recognized that the key to a better university presence online was dependent on more advancement. Shad says when the school first started using WordPress, they left plugins and other features open to users — and this was a mistake. He says over time, the school found a balance between central control and giving people the access they needed to create the type of content they wanted. The open source, familiar and scalable nature of WordPress make it a perfect fit for higher education institutions that want to expand their presence online, which is why so many top universities rely on the software. Likewise, it’s an ideal solution for schools that want to enrich student and better connect with students who feel comfortable working in the digital space. WordPress is used by a growing number of institutions worldwide in a wide range of ways, from marketing and outreach to hosting student and faculty websites and providing online classes and courses. Due to its incredibly flexible nature, WordPress is a cost-effective solution for institutions that can be easily integrated with existing systems and managed by marketing departments. While it may not be the right solution for every application, it has proven to be the best platform for some of the world’s leading institutions. Want to make sure your university is positioned well to offer high level online education, and secure new applicants year after year? A great place to get started is with your digital presence. The best possible Higher ed WordPress hosting can put your website miles ahead of others. 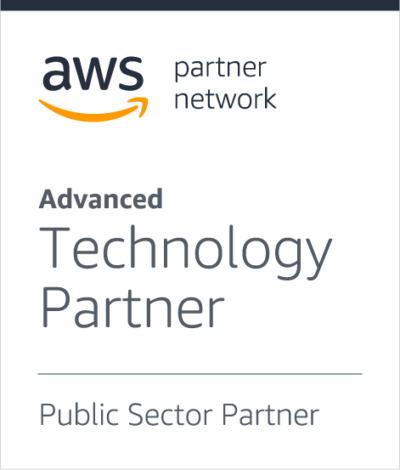 Pagely is an AWS Public Sector partner.